Please be aware that much of the Flaming Foliage Relay is held on public roads - there are no road closures, traffic control, or aid stations. All participants must understand that there will be vehicle traffic at all times when on public roads and several of the Exchange Points are along busy roads. Also be warned that any road hazards along the course are NOT marked, the route goes through National Forests, on wilderness trails and forest service roads and other unpopulated areas where wildlife lives, and that there are cattle guards and areas of open range (livestock not fenced in) so caution is required from all runners and drivers. 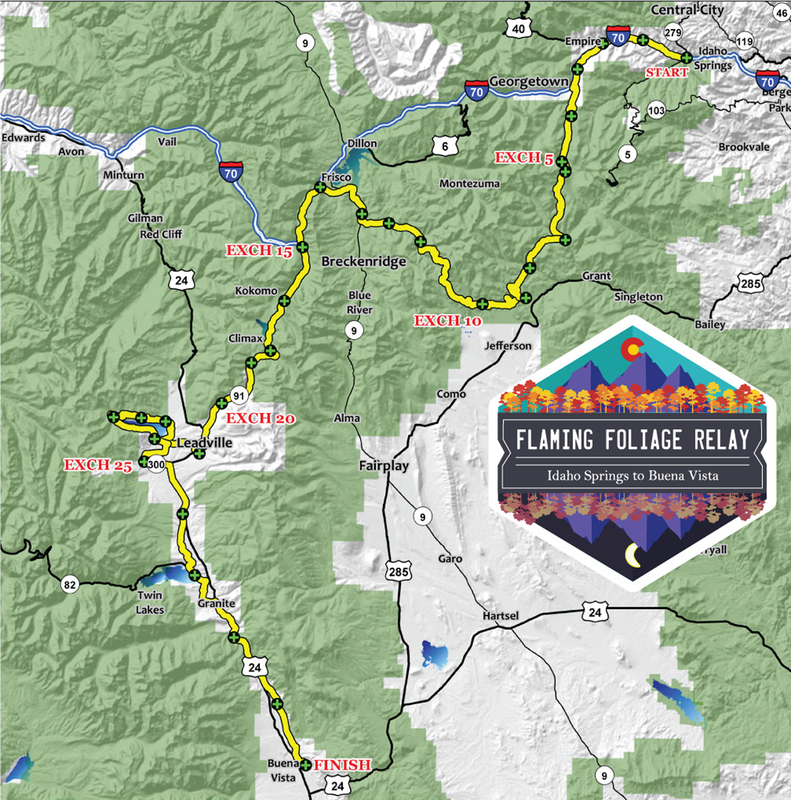 The starting line for the Flaming Foliage Relay is in Idaho Springs (7,526 ft) at 16th St and Citizens' Park, located just off I-70 - about a 45-minute drive from Denver. The route begins in Idaho Springs and follows the Frontage Road to Georgetown (8,530 ft). Next is an epic climb to the relay's first pass, Guanella Pass (11,669 ft). The construction of Guanella Pass is now completed, so the issues faced in the past with it closing are no longer a problem. 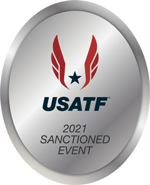 After the descent down the Pass, the next four lucky runners will be on single track and dirt USFS Roads, starting on the Burning Bush Trail, finishing with a classic - Leg 11 over the second pass, Georgia Pass (11,585 ft) to Breckenridge (9,600 ft). Next, runners will run on the bike paths through Frisco (9,075 ft) to the thrid van exchange at Copper Mountain (9,712 ft). From Copper Mountain, runners will continue south, over the third pass, Fremont Pass (11,318 ft), to the fourth van exchange in Leadville (10,152 ft). Just imagine how bright the stars will be due to the absence of light pollution! After a loop around Turquoise Lake (9,875 ft) and back to Leadville, runners will work their way down the Arkansas River Valley and finish at River Park in Buena Vista (7,993 ft) where teams can celebrate by enjoying a meal and a cold one.